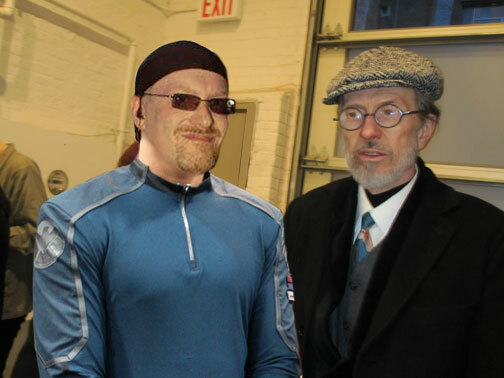 At Tom Spurgeon's request, here's a picture of me in a SHIELD uniform with Robert Crumb. This was totally not Photoshopped, and now Tom owes me twenty bucks. That's the most smug-looking SHIELD agent I've ever seen!